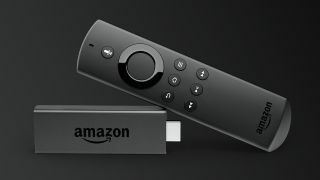 Amazon Prime Video is already one of the cheapest subscription-based streaming services currently available, but it appears that the online retail giant is gearing up to do you one better, with a report from The Information stating that Bezos and Co. are planning to launch a new service for the price of 'absolutely free'. The service, said to be called Free Dive, will reportedly embrace an ad-supported revenue model, offering the streaming service directly to Fire TV owners at no cost. According to the report, Free Dive will feature mostly older TV shows and movies, and is being developed by Amazon-owned online movie database IMDb. Though an ad-supported version of Amazon Prime Video has been rumored in the past, Free Dive will apparently not be a free version of the Netflix competitor, but an entirely different service with a separate content library. The Free Dive service can be seen as yet another example of Amazon's current focus on generating ad revenue – the company already hosts a number of ad-supported shows on IMDb, and it was recently announced that the Amazon-owned Twitch Prime won’t support ad-free viewing for much longer.